New Ford Focus vs used Audi A3: which is best? | What Car? New generally means better. It’d be daft spend your hard-earned cash on something new unless it was considerably better. Trouble is, while that line of thinking works well with fridges and washing machines, it doesn’t always hold true with the used car market, where there’s often a more premium alternative available for the same money as a new model. In this instance, we’ve got a Ford Focus. It’s all-new and in its fourth generation now, boasting all sorts of cutting-edge technology that’s designed to keep you connected and safe. Our favourite is the flexible 123bhp 1.0-litre Ecoboost petrol in fairly high-end Titanium trim. However, a year-old Audi A3 Sportback will be quite a challenge for the new Focus. 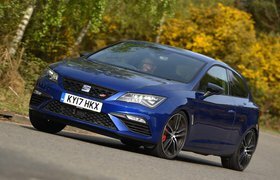 It's our current Used Family Car of the Year, taking the place of last year's category and overall Used Car of the Year winner, the Seat Leon. But if you think going up the ladder means you have to put up with some boggo-spec car with a weedy engine, think again. Our A3 has a punchy 148bhp 1.5 TFSI petrol engine and is in well-equipped Sport trim. Question is, do you buy from a mainstream brand with a dealer on each corner and the full complement of manufacturer’s warranty, or do you go for something with a year’s less cover, but that has a much classier image and is slightly cheaper to buy? Read on to find out. Ford has put a lot of effort into reducing the sheer number of buttons that adorn the Focus's dashboard to try and make it as easy to use as possible. Many of the major controls for the stereo and sat-nav are taken care of via the 8.0in central touchscreen. Trouble is, there are still 12 buttons on the steering wheel, and while the touchscreen is much more usable than before, its graphics and menu design aren’t always that easy to fathom, and it can sometimes be a little laggy. Standard equipment is generous; Titanium trim gets power-folding door mirrors, front and rear parking sensors, automatic wipers, keyless entry and start, heated front seats, passenger seat height and lumbar adjustment, dual-zone climate control and that 8.0in screen with sat-nav. And if you go for the £500 Driver Assistance Pack, you’ll be treated to adaptive cruise control, automatic high beam assistance and traffic sign recognition. For a further £500, the Convenience Pack gives you a rear-view camera and some clever pop-out door protectors to guard the door’s edge from hitting a parked car or wall. 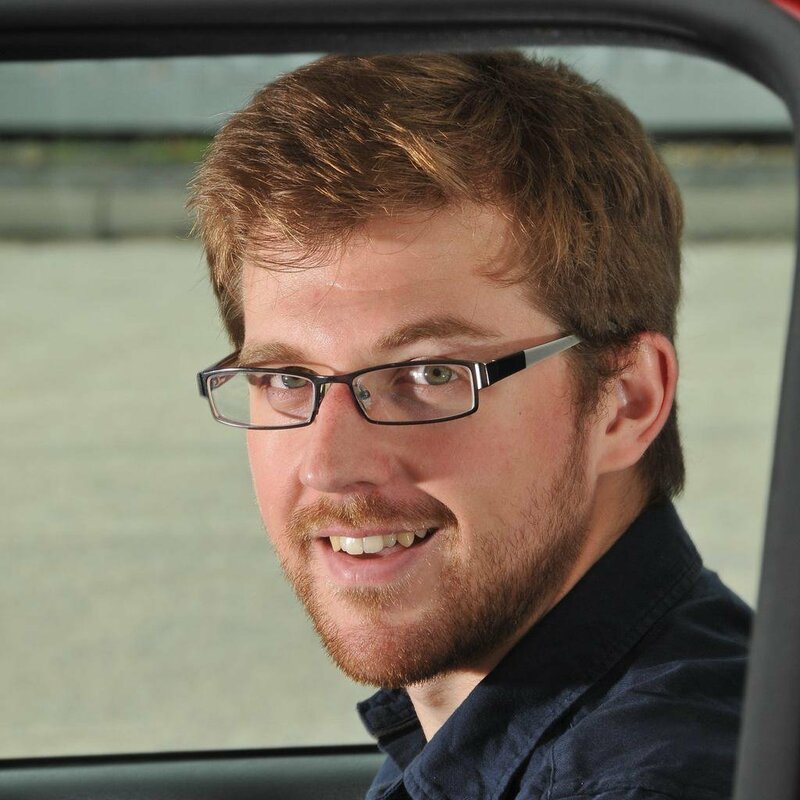 Blindspot monitoring is available as a £400 option that also adds rear cross-traffic alert. Unfortunately, while the standard equipment might be greater and optional extras more reasonably priced, the Focus can't compete with the A3 in terms of interior quality. Ford has tried to up its game against stiffer competition, but there are still far too many odd panel gaps and cheap-looking plastics used for the Focus to be regarded as a premium product. The A3, on the other hand, is a car from the class above, and it feels it as soon as you step inside. Everywhere you look there are soft-touch plastics, quality leather and metal finishes. All the buttons are nicely damped, and the slim infotainment screen that slides out of the dashboard is a very classy touch. While it’s smaller than the one in the Focus, its menus are well thought out, and navigating your way around the system is easy using the key buttons and a rotary dial between the front seats. Equipment is perfectly good on this Sport model, with standard dual-zone climate control, sports seats, sat-nav, xenon headlights, rear parking sensors and cruise control. Space in the front of the A3 isn’t an issue. Like in the Focus, there’s lots of shoulder and leg room for the driver and front passenger, plus the sports seats give plenty of adjustment. Unfortunately, lumbar support is a cost option on the A3, whereas the Focus gets it as standard. The Focus also surges ahead when it comes to space in the back, with a class-leading amount of leg room. And thanks to its wide interior dimensions and a small central transmission tunnel, three can fit across the bench for more than just short journeys. 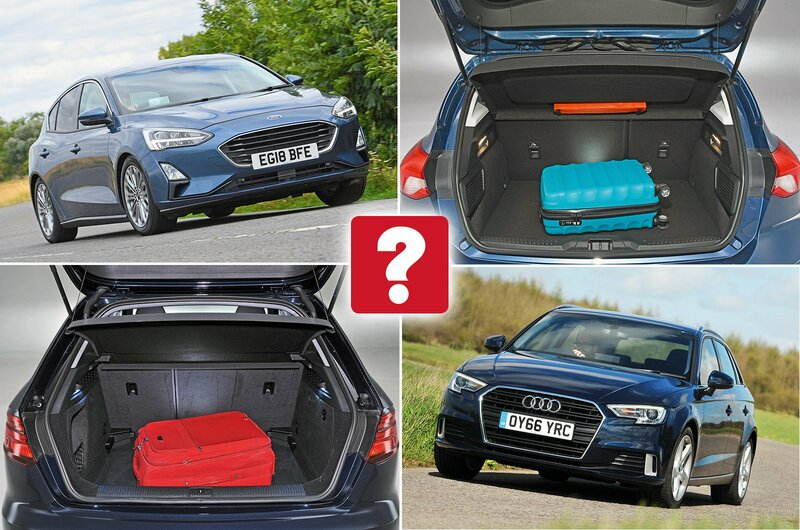 By comparison, the A3 is fine for two, and the big door bins aid its family car billing, but it isn’t as spacious as the voluminous Focus, and three will be too much of a squeeze. Both the Focus and the A3 have similarly sized boots, but the A3 is the only one to get an height-adjustable boot floor as standard. Without this option on the Focus, there’s a sizeable lip to lift items in and out of. One thing to be aware of is that the subwoofer that comes as part of the optional Bang & Olufsen stereo package reduces the amount of space you get.